This hazelnut fig cake is a healthier, vegan cake made with coconut sugar, spelt flour, and sweet seasonal figs. Get them while they last, and then make this cake! I’m writing this from my computer! If you remember from my last post, my computer was still in customs three weeks after shipping it from Canada. My uncle works in customs and helped me to finally get it without having to pay the 20% fee for importing electronics (since it was my property anyway and not new). It’s so nice to be able to work on the big screen again, and very reassuring that it wasn’t destroyed on the trip over here, which is almost definitely because of my friend Sarah’s marvellous packing skills. 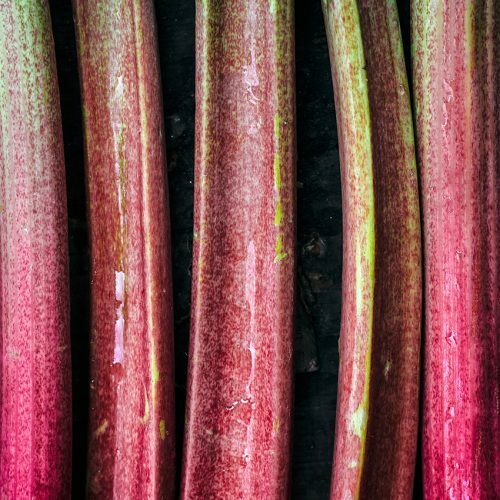 I made a hazelnut and rhubarb cake in the spring, much like this one, but I’ve improved the recipe since and decided to share it now with some fall produce. I’d never had fresh figs before we moved here because they weren’t available at home. I also found some fresh turmeric here so look for a recipe with that soon, too. 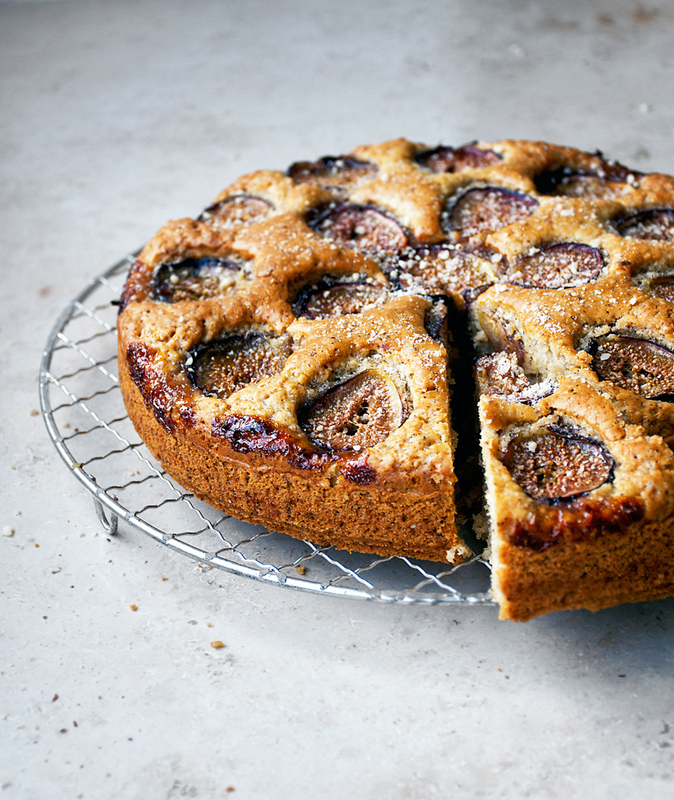 Turns out fresh figs are pretty great, and perfect for this hazelnut fig cake with the combination of hazelnuts, caramel-like coconut sugar, and olive oil. 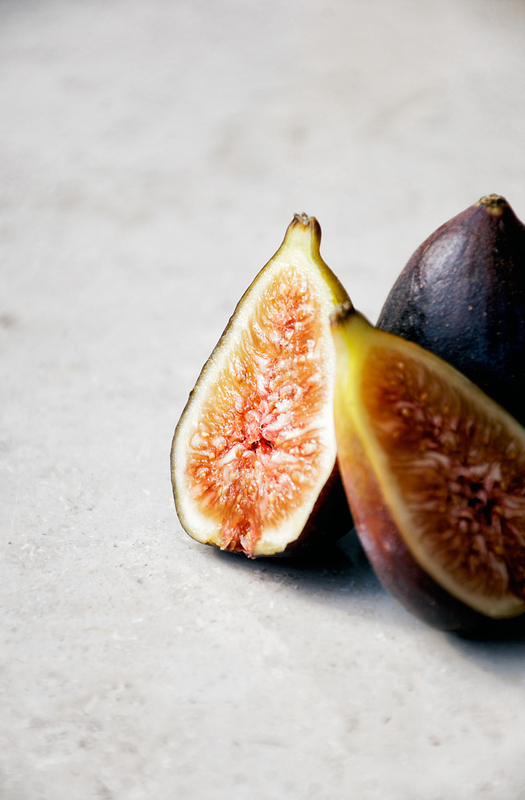 If you can’t get fresh figs, though, the base cake is delicious on its own, and I would top it with sliced apples, pears, or stone fruits. The cake itself isn’t particularly sweet but the ground hazelnuts make it quite rich and it’s certainly a dessert. It’s gently spiced with a hint of cardamom and vanilla for warm fall flavours. 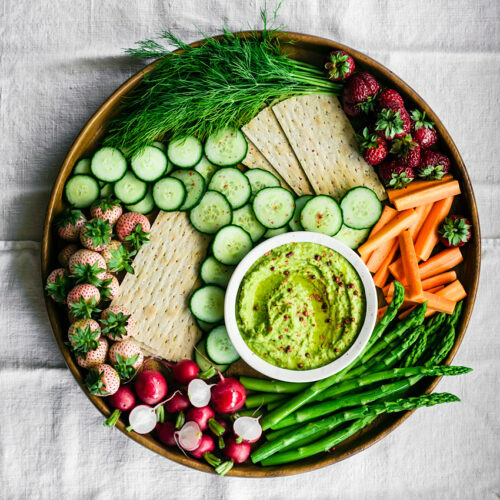 This recipe is vegan, but without any special binding agents, and I promise that no one would notice if you didn’t tell them, so it’s perfect to bring to get-togethers or serve to hard-to-please guests. The abundance of food here is shocking – my parents have a farm at home with fruit trees, but because the climate is so harsh, there just isn’t as much variety. We went to my uncle’s house a few days ago and picked three different types of apples and two types of pears, I have grapes from a friend of Omi’s, and there are quince, pear, apple, and hazelnut trees all growing in Omi’s yard. They’re just there and no one thinks anything of it. Graham and I found a whole bunch of wild blackberries a few days ago, and there are rose hips and nettle growing everywhere. It’s not that there aren’t wild foods or fruit trees in Manitoba, there are – I think that it’s because the area I lived in was so full of large-scale agriculture that a lot of it had been destroyed, and then in wilderness zones the animals eat it before we can get to it, or I don’t want to take too much food from the bears and other animals because the winters are so cold. I feel the same kind of awe every time I visit British Columbia, which has a very similar climate to northern Germany. I have big plans for all of this produce (and my aunt’s juicer). Preheat the oven to 175 C / 350 F and grease a 26 cm / 10 inch springform pan or line it with paper. In a large bowl, combine the flour, hazelnut meal, sugar, baking powder, vanilla, and cardamom. In a smaller bowl, whisk the milk and oil together until incorporated. Add the milk mixture to the larger bowl and gently whisk to combine the wet ingredients into the dry. Don't over mix. Pour the cake batter into the prepared baking tin and smooth the top by gently dropping the cake tin on the counter to release bubbles. 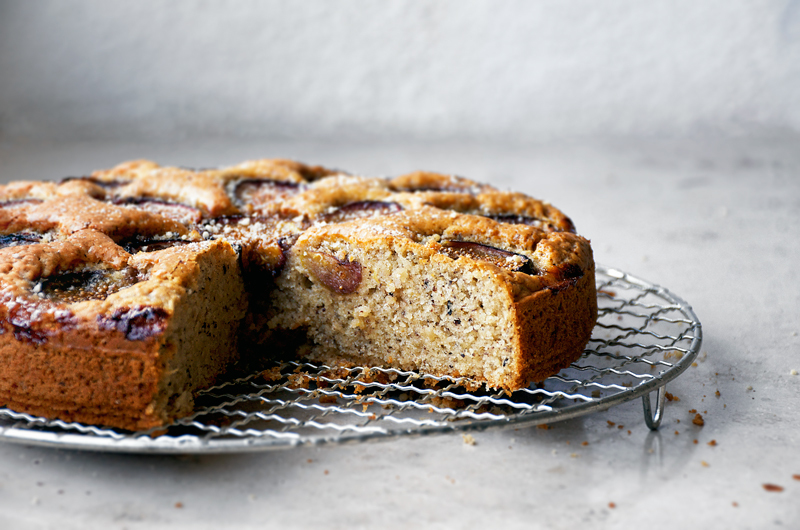 Place the halved figs onto the cake, cut side up. Bake for 50-55 minutes, or until golden. Cool the cake on a rack for 15 minutes before removing the outsides of the pan and cooling completely. You can gently remove the base of the pan once the cake is almost cool. This cake is best at room temperature, but will keep well in the fridge for up to three days. 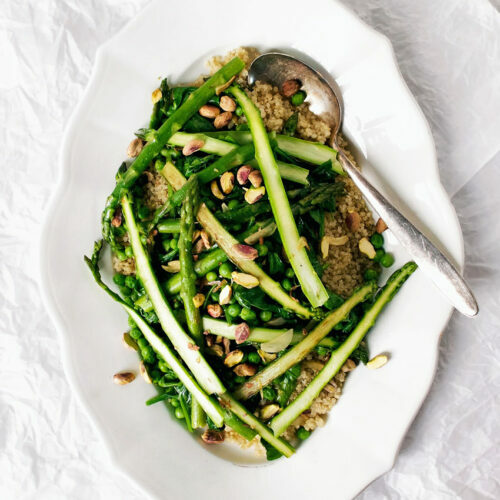 * You can substitute the cardamom for 1/2 teaspoon of ground cinnamon if you can't find it. Absolutely beautiful, Alexandra. 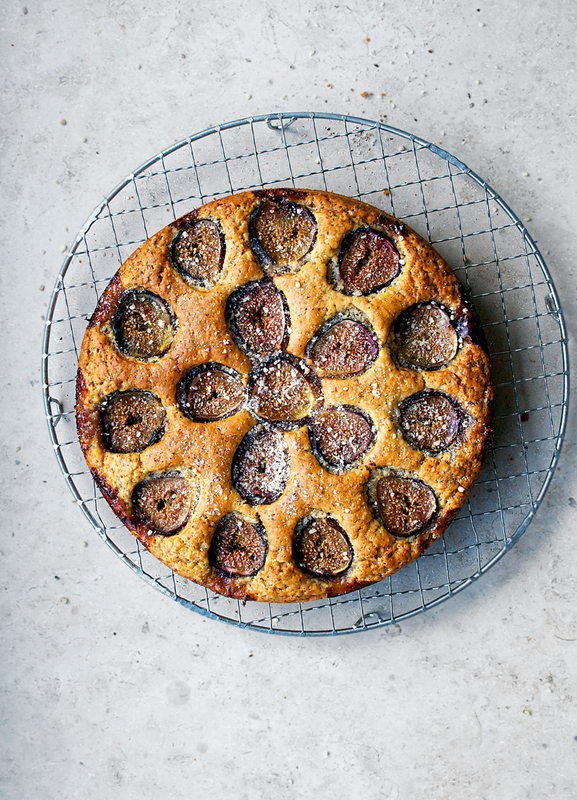 I've been meaning to make a fig cake, and this is such wonderful inspiration. Oh wow, it sounds so romantic where you are with all the fruit and nut trees! I love how you added cardamom to your cake- it is such an under-used spice in North America I find! 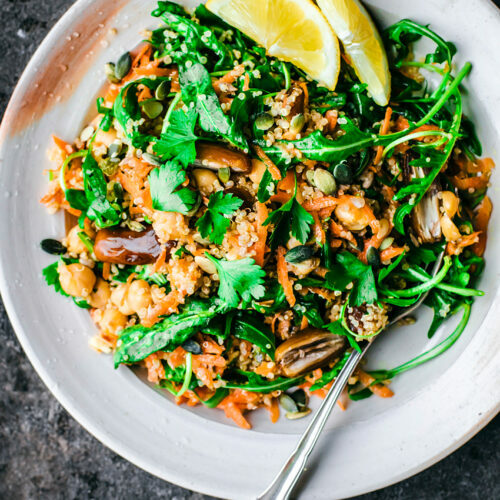 But one of my favourites 🙂 Will definitely have to try this recipe! What a gorgeous cake! 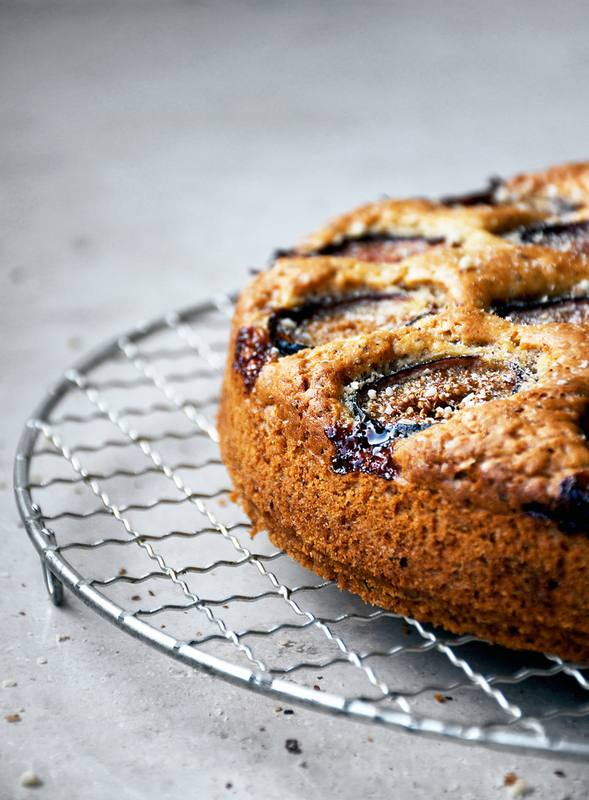 I love that you've used spelt flour and hazelnut flour in the cake… those nutty flavours always go so well with the soft sweetness of figs. I'm very jealous of the abundant fruits you now have at your disposal, especially the quinces. They're one of my very favourite fruits, and often hard to find here. Can't wait to see all the lovely things you make with this bounty! Thank you, Isabelle! I still haven't gotten around to using the quinces (they're sitting in a fruit bowl next to me…) but I have plans! We only had about a dozen so I didn't have to make jam or anything like that. 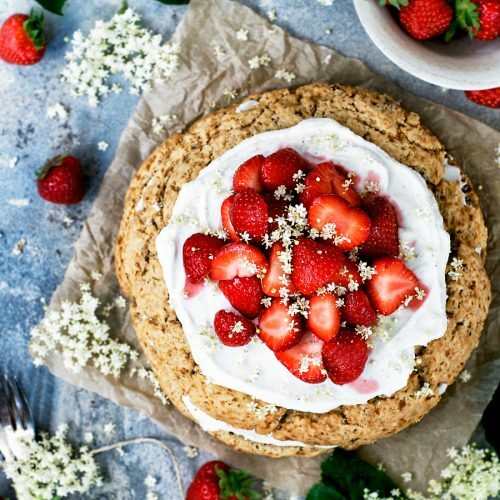 Can I use whole wheat flour instead of spelt? Hi Rachita, I’m not sure I’d recommend using regular whole wheat flour to replace the light spelt, but you could certainly use whole wheat pastry flour!